Say hello to my mascot bwahaha! 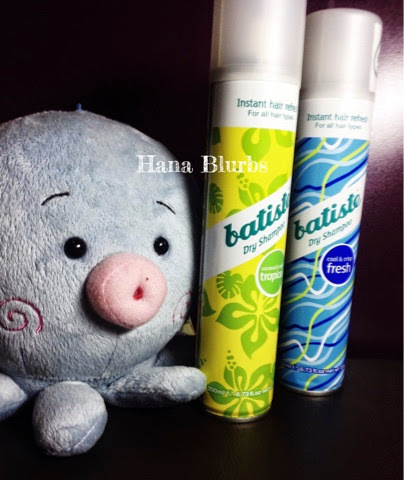 I got these Batiste Dry Shampoo awhile back in my recent Mini Beauty Haul :D I am one of those people who always had problematic scalp, albeit oily. And itchy, of course. So I always had to wash my hair like everyday, which is not good as it will strip our natural scalp oil off as I have read throughout the days. My first experience with dry shampoo was the Shaire London Silk Classic Collection Hair Perfume Dry Shampoo which I got from my Mivva box last year, but it left my scalp more oilier than ever. It's more like a perfume rather than drying your scalp from those extra oil secretions. 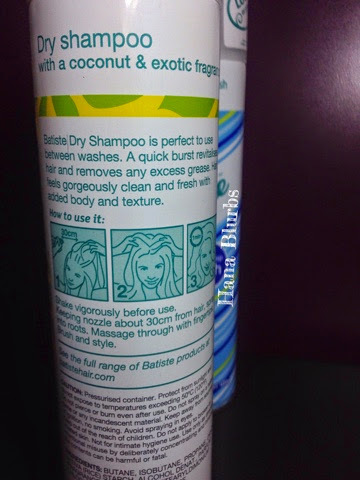 And then I was introduced to Batiste, more like accidentally stumbled across this on someone's social media. Hahaha. At first I was hesitating to buy these at first because of the price and how much do I need it. Wakaka. And as expected, was not able to purchase through Asos either. In the end, I purchased them in Tropical and Fresh from Irean. The scents, in my opinion, in terms of smell does live up to the expectation. Both scents are not too overwhelming (they smell very very good! ), and Fresh especially leaves your scalp feeling more refreshing than Coconut. Massage through with fingertips then brush and style. After spraying onto my hair, it turns soft and dry (fluffy, very fluffy), and it feels like you are just out of the saloon for only a few hours. If you get what I mean. Hahaha. And my scalp did not get oily for a good period of working hour (say 8am to 5pm), which is good. It helps lessen your scalp itch too, although you still do scratch your head once in awhile. Lol. The only downside is I have yet to find a cheaper alternative on where to get these. Hehe. 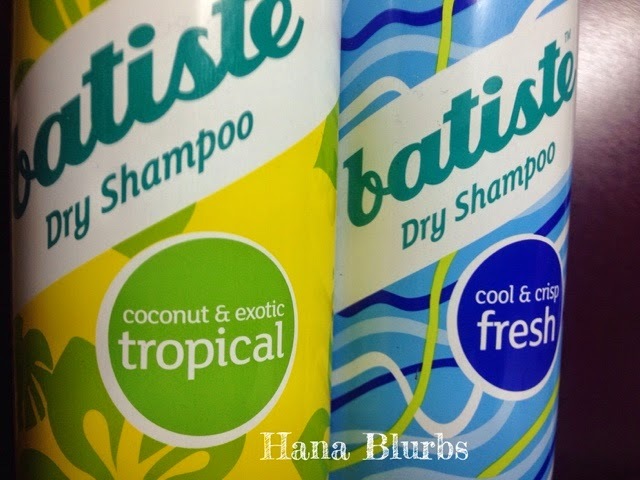 And that's about it, if you need more info about other scents, you can go check out http://www.batistehair.com and inquire Irean about which scents are available with her.